Across Clark County, communities come together every year to celebrate what it truly means to be an American. The Fourth of July is just around the corner, and event organizers from Ridgefield down to Vancouver are preparing for one of the busiest days of the year. Community celebrations take place every Independence Day, and this year is expected to be no different. The city of Ridgefield’s annual patriotic celebration will begin this coming Wednesday with a pancake breakfast at 7 a.m. in the Ridgefield Community Center, hosted by the Firefighters Association. For those wishing to forego the carbs and instead participate in some competitive athletics, two fun runs — a 5k and a 10k — begin at 8 a.m. at the corner of Main and Simmons. Of course, the main attraction at the Ridgefield Fourth of July Celebration is the parade, which draws crowds that number well into the thousands. The theme of this year’s parade is “Over there. Over there…” and is meant to commemorate the creation of the American Legion and the 100 year anniversary of World War I. The parade begins at 11 a.m.. Throughout the rest of the day, various activities will be available to those in attendance, including live entertainment provided by area performing artists, including Tony Starlight and High Fidelity. A kids park, with face painting, inflatables, and a magician, will be set up in the Ridgefield Refuge overlook park. 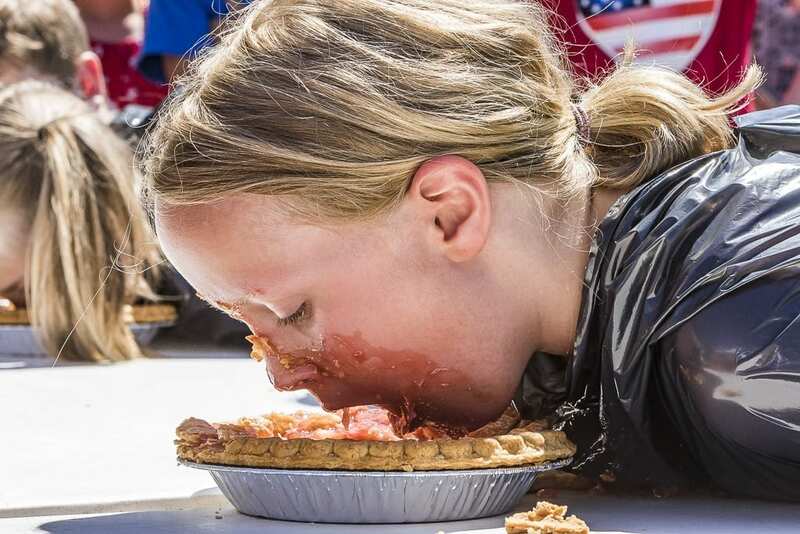 The celebration would not be complete without the annual Pie Eating Contest, a community favorite event that is free to children ages 18 and under. This event is scheduled for 2:15 p.m. at the main stage. At the end of the day, the long-anticipated fireworks show at the Port of Ridgefield is expected to draw crowds, as well. Set to begin at 10:15 p.m., limited public seating is available for spectators, and the organizers recommend that people hoping to catch the show arrive early. 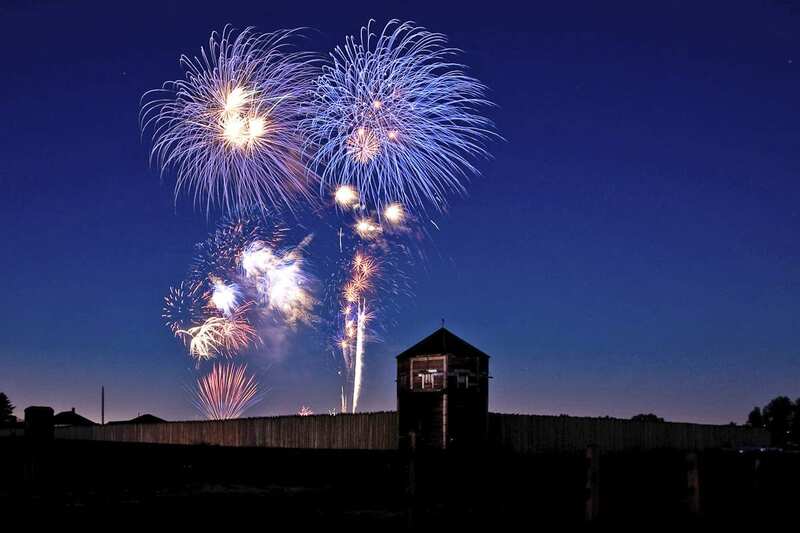 A few miles down the I-5 corridor, Fort Vancouver’s notorious fireworks show is expected to be bigger and better than ever before. Sponsored by Columbia Credit Union, this event begins at 10:05 p.m. in the fort and will last about 20 minutes. According to a press release by The Historic Trust, this year’s fireworks show will feature 20 percent more fireworks and will operate on a technologically advanced system that synchronises the fireworks and special effects to the rhythm and dynamic of a custom music playlist. Those wishing to witness this spectacular show should plan on arriving early; 6 p.m. is the recommended arrival time for the event, and vehicle access to Fort Vancouver will be heavily regulated. Those not wanting to make the drive to the fort are invited to use free C-TRAN shuttles from the Fisher’s Landing or 99th Street stations. Back north, an event that is often described as “small town life at its best” will make its way down Railroad Avenue in Yacolt. 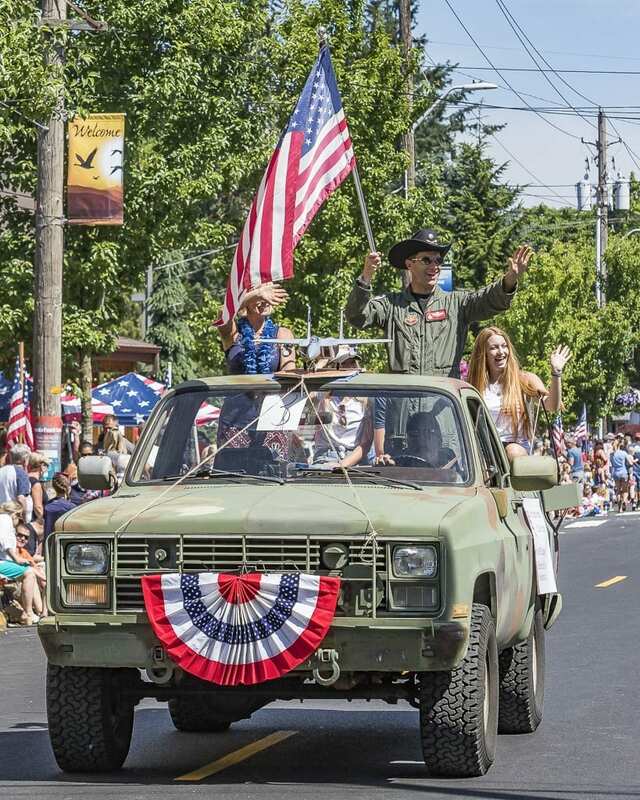 The annual Yacolt Rendezvous Parade, set to begin on July Fourth at 10 a.m., is an event that community members in North County look forward to every year. Whether it is logging trucks, horseback riders, hot rods, churches, politicians, or simply somebody who wanted to enter their minivan in the parade, onlookers in the small town always come together for a time of community pride and fun times for the Rendezvous. This year, the parade theme is “The Great Outdoors.” As a judged parade, viewers can expect some friendly competition among participants. For more information about Fourth of July community events happening in Clark County, visit the ClarkCountyToday.com event calendar or any city government website.